Laid down, 28 October 1944, at Brown Shipbuilding Co, Houston TX. Decommissioned, 29 May 1946, at Mare Island Navy Yard, Vallejo, CA. Final Disposition, sold for scrapping, 13 January 1948, to Fairbanks Morse & Co., Chicago, IL. 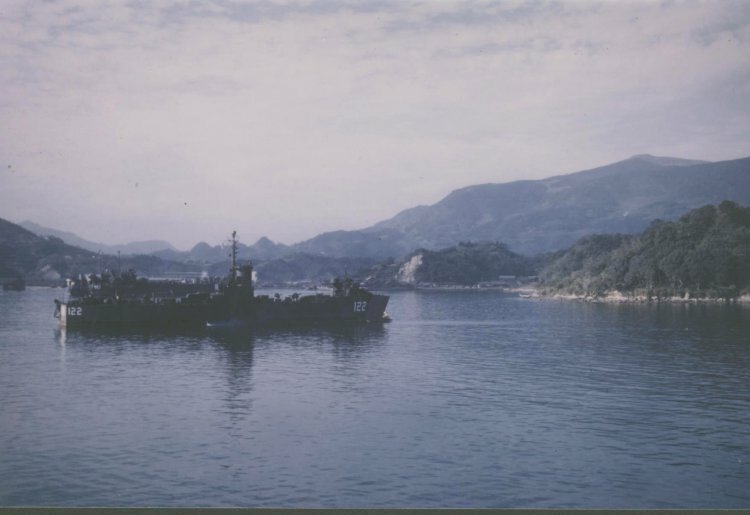 49k USS LSM-122 under way in San Francisco Bay, circa 1945-46. 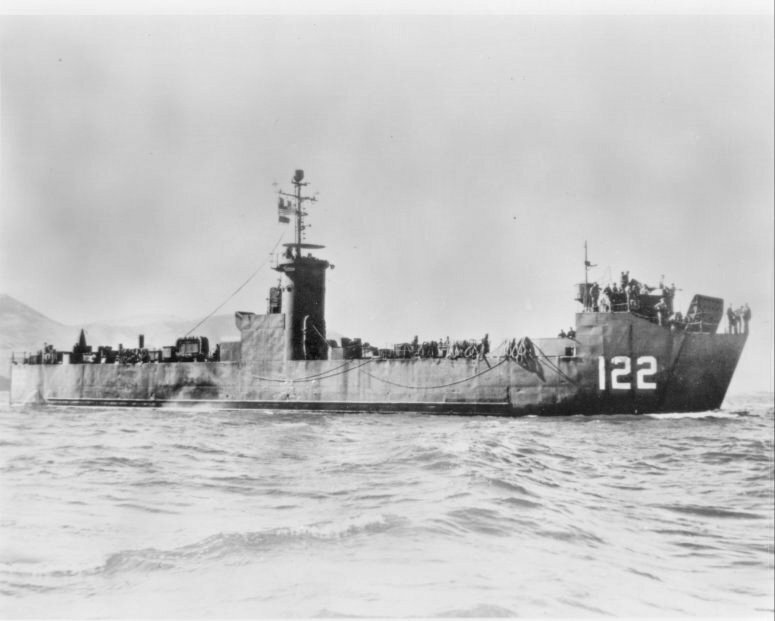 The history extract for USS LSM-122 is from LSM-LSMR Amphibious Forces, Vol. II. Paducah, Kentucky: Turner Publishing Company, © 1997. (ISBN 1-56311-389-9).